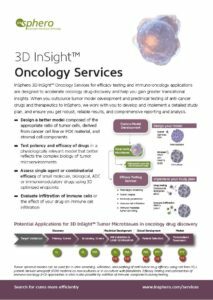 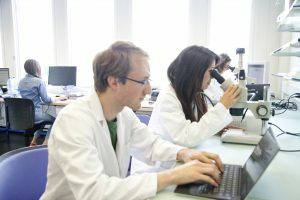 Assay-ready and customized 3D InSight™ Tumor Microtissues give you the flexibility to test single drug efficacy in more physiologically relevant tumor and tumor-stromal models. 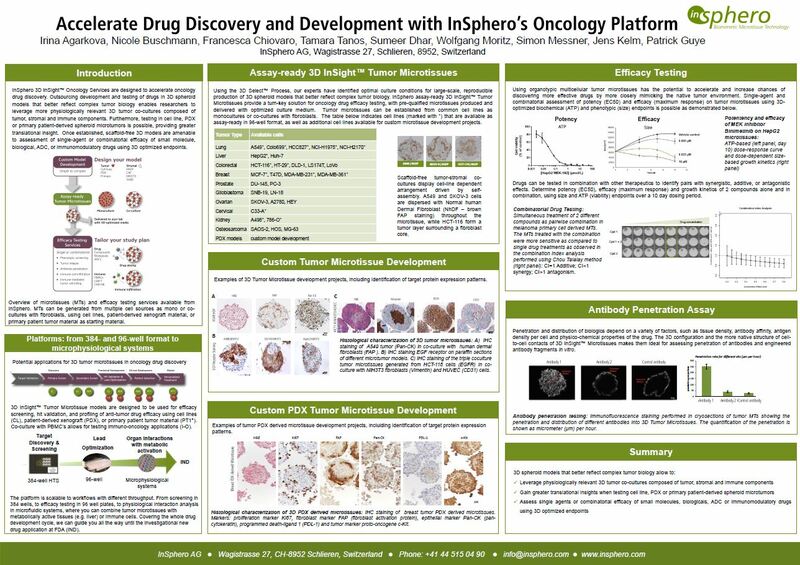 Explore kinetics of pathway activation and mode of action employing our tumor microtissues for additional 3D-optimized biochemical, histological and omics-based characterization. 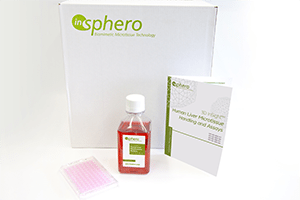 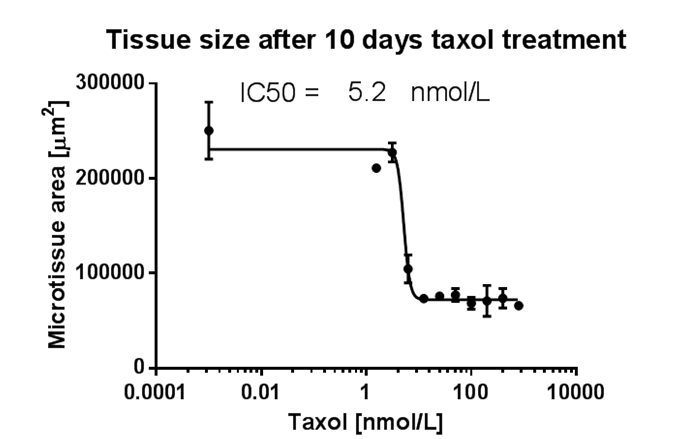 HCT-116 colon cancer Microtissues treated with Taxol. 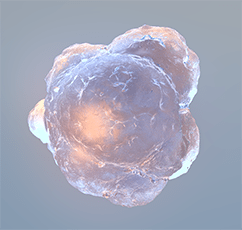 HCT-116 Microtissue growth kinetics assessed as MT area vs culture time (left panel). 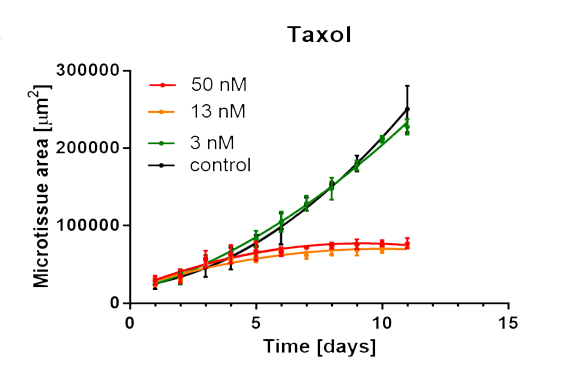 Efficacy of Taxol as assessed by microtissue size (middle) and viability (right) following 10 day drug treatment protocol.